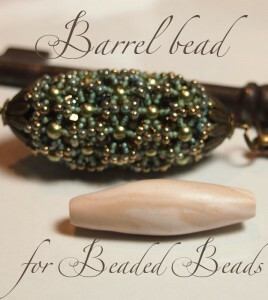 With the Antique beaded bead project you can create a beaded bead using bicone crystals and seed beads. 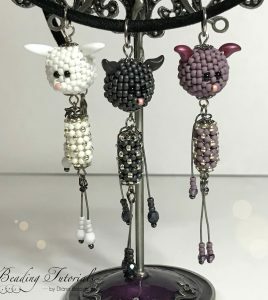 The beading method used here is very simple. 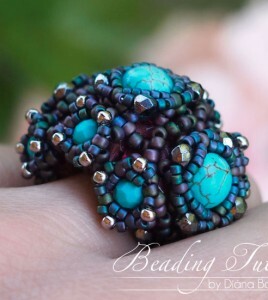 The only difficulty is to hold the base bead in the beadwork throughout the process. 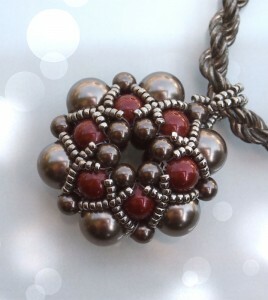 Instead the bicone crystals you can use Czech fire-polished beads too, to create these beaded beads. 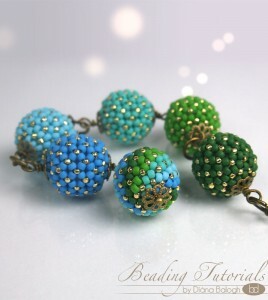 If you make more Antique beaded beads, you can create a bracelet, or a whole necklace from them. Meet Jenny, Johnny and Judy! 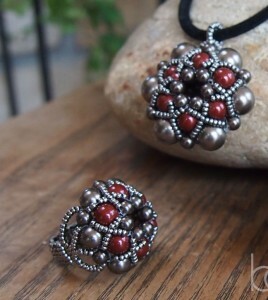 They are beaded pendants, and have a beaded bead head with peyote technique and a simple body with chenille stitch.